Our aim is to provide an exceptional standard of service which will leave you with long last memories of a wonderful experience in Cavan Crystal Hotel. 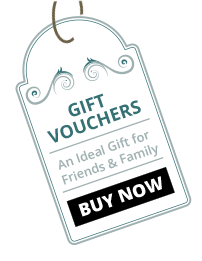 To enhance your stay why not add on an extra special gift for that truly special person. Choose from our list of upgrades below when making your online reservation at the time of booking or to personalise your upgrade please contact us directly prior to your arrival date at 049 43 60600. We look forward to making your stay with us Extra Special! We have a number of upgrades available to enhance for your stay here at the Cavan Crystal Hotel. Why not yourself to a few more hours here at the Cavan Crystal Hotel. Late check out until 2 pm. Subject to availability, please check with reception on arrival. Once you have selected your stay dates and preferred room type on our reservations system, and click ‘Book Now’, you will see on your screen the option to add in any of the above extras. If there is anything else that you would like to add onto your stay that we haven't thought of then please do contact us directly by phone or email and we will always endeavour to try to make this possible.